Public shares are accessible by users if they have the share link. They do not have to login using guest account or password. 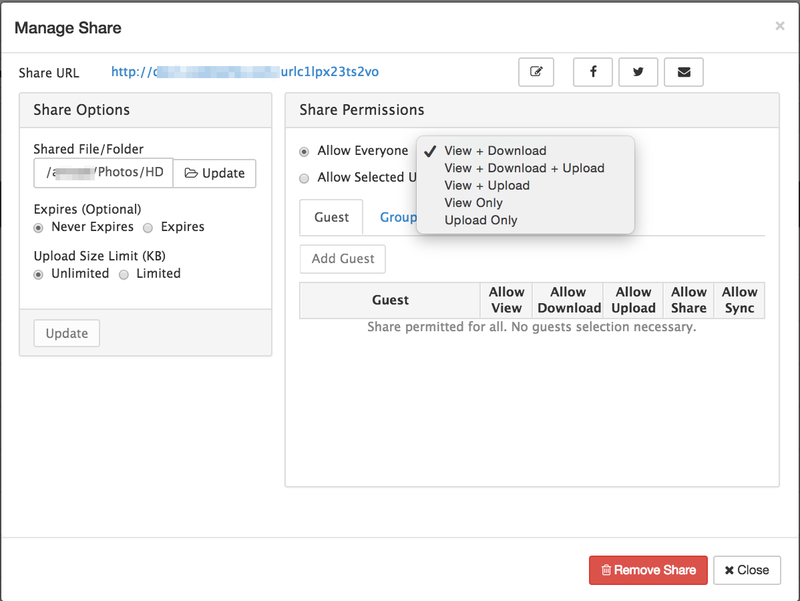 FileCloud now allows the restrictions of uploads/downloads for a public share. (i.e…) It allows blocking of uploading new files/folders to the shared URL and blocking of downloading files in the folder. This provides better security for the shared folder by blocking anonymous uploads/downloads of files/folders. Once a public share is created for a folder, do the following. To achieve this, Check the “View + Download” checkbox. This allows the users to view the files and to download the files in the folder. This also disallows uploading new files/folders to the shared folder.